We will be repeating a few (if not all) of these projects this year! Get ready!! We want to do something very special for the less fortunate... something different. 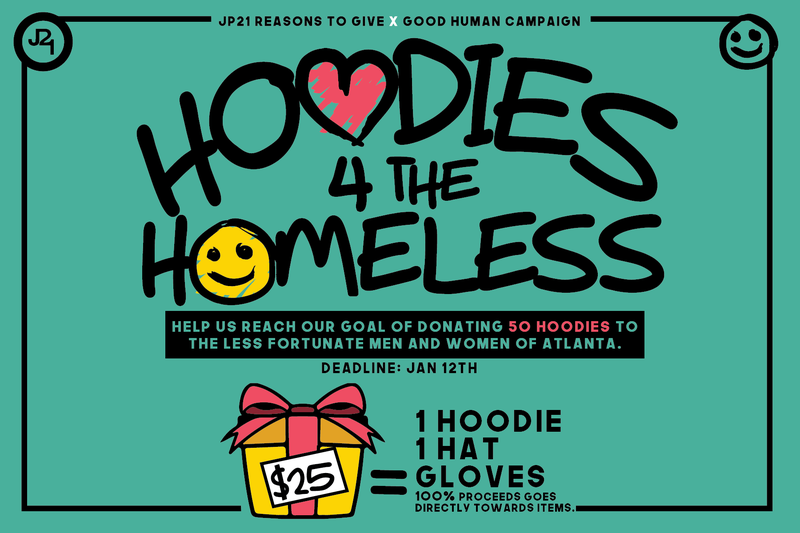 We decided to collect $25 from 50 people to purchase 50 hoodies, 50 hats and 50 gloves. We will box & wrap them up beautifully and attach a card. We will then set out to give 50 people a reminder that they matter! 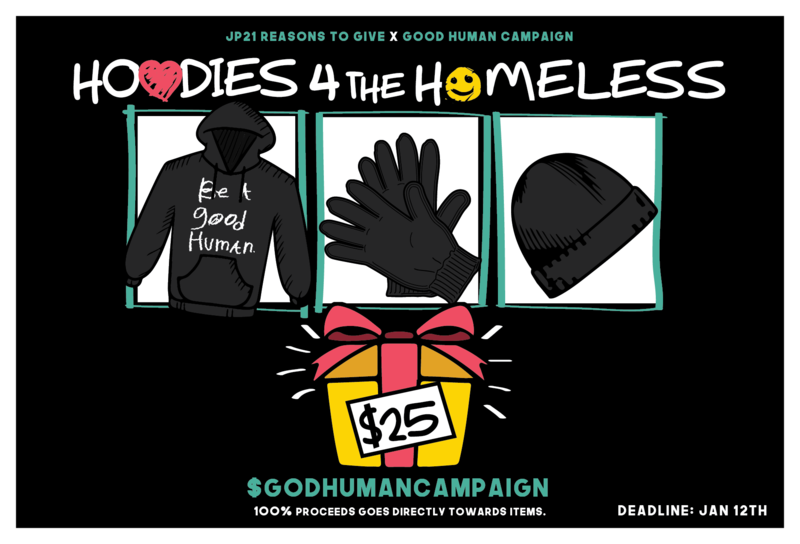 Also, wearing the "Be A Good Human" hoodie will serve as a reminder to those that dehumanize the homeless men and women in the city of Atlanta!! We really want to make this special for them and put some smiles on their faces!! Jan 12 is the cut off date and the hoodies will be ordered right after!! If you have any questions or would like to sponsor us in anyway, let us know! Donations of $200+ are tax deductible! !